Submitted by Angarrack.info ... on Mon, 25/06/2018 - 12:00. 1.6 Adjacent to Hayle, lying within the parish boundary, are the two villages of Angarrack and Phillack. Angarrack preceded Hayle’s development in that the first tin smelter was built there in 1704. Angarrack has its own industrial heritage including the steep incline of the Hayle Railway that required the wagons to be hauled up by ropes – now identified as Steamers Hill - and the stunning viaduct that spans the settlement. This was built by Isambard Kingdom Brunel, initially in timber and later rebuilt in granite. With its inland valley setting, Angarrack is a village clearly separate from the expanding Hayle. The Neighbourhood Plan seeks to continue to protect it from encroachment. The Local Plan sets out a minimum amount of housing development that should be provided in and around Hayle in the period until 2030. National planning policy states that a neighbourhood plan cannot reduce this scale of development. If we are to have a plan for Hayle, it must understand and respond positively to the implications of this scale of development. We have, however, an opportunity to help ensure that this development happens on our terms and is brought forward in a way that assimilates what Hayle is like to live and work in. While we support the principle of Hayle accommodating development consistent with that set out in the Local Plan, we are clear that this cannot mean development at any cost, or in any location. With the sensitive environmental areas surrounding Hayle and its status as a World Heritage Site, we need to be careful not to allow development in inappropriate locations that could compromise the high - quality local natural and built environment. Consultation has clearly supported this position. For example, the Community Consultation of 2016 showed that 98% of respondents support measures that protect and or enhance the unspoilt and undeveloped coastal environment, 93% support development where it is in keeping with its setting, and 92% want to ensure development contributes positively to maintaining the distinctiveness of the area’s different settlement areas. 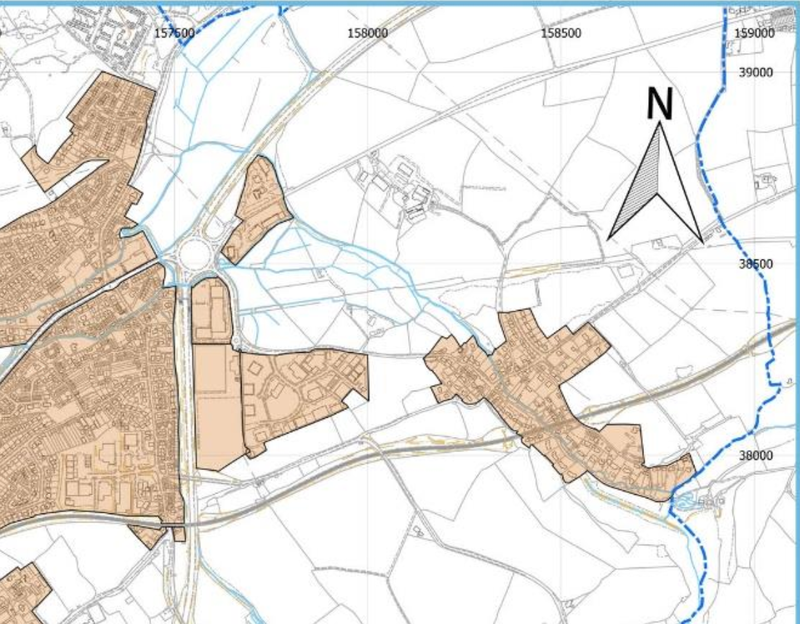 We are not allocating development sites in this Plan to accommodate the scale of development required by the Local Plan. Suitable sites need to be identified for that growth. 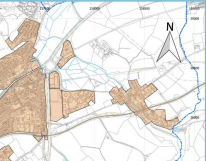 We shall continue to work closely with Cornwall Council as it develops the Site Allocations Development Plan Document (DPD), which will identify the larger scale development sites 22 for housing in the Hayle area. These should be contiguous with the edge of Hayle and the DPD will need to take into account the evidence behind our Plan and its policies. Outside of any large - scale development locations, we also need to set the scope of where is, and is not, an acceptable location for windfall development 23 to take place. National policy supports this intent stating that the “ planning system should contribute to and enhance the natural and local environment by protecting and enhancing valued landscape ...” (NPPF para. 109). The NPPF makes clear distinctions between built up areas and the countryside. A clear definition of a built - up area boundary will help distinguish between the built - up areas where sustainable development is acceptable in principle and the surrounding countryside. Map 3 defines built - up area boundaries for Hayle, Harbour, Phillack and Angarrack. The boundaries have been drawn to encompass all areas that are developed (at October 2017) and considered to be part of the settlement area. Areas outside of the built - up areas are regarded as countryside and subject to countryside policies. 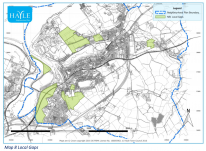 We recognise that some of this land has extant planning permission for major development and other land will be identified for strategic growth development in Cornwall Council’s Site Allocations DPD. If, and when, these major developments have been completed they too should be considered as part of the built - up area. 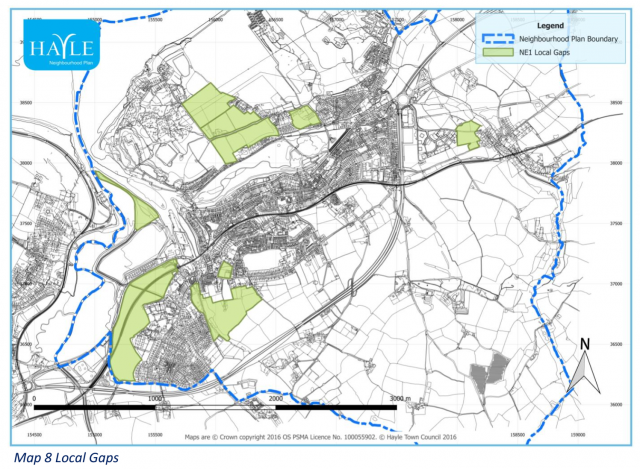 By establishing built - up areas, we will afford some protection to the countryside areas adjacent to the built - extent of Hayle, we have set a development limit boundary. It will help to prevent the sprawl of Hayle outwards and ensure that the focus of any windfall development takes place in Hayle. These same principles are also behind setting built - up area boundaries for Phil lack and Angarrack. To strengthen our position on defending the built - extent of Phillack and Angarrack, we have also introduced policy NE1 Local Gaps. The built - up area boundaries are defined on Map 3. Hayle, Harbour, Phillack and Angarrack built - up area boundaries are defined on Map 3 within which the principle of development is supported. 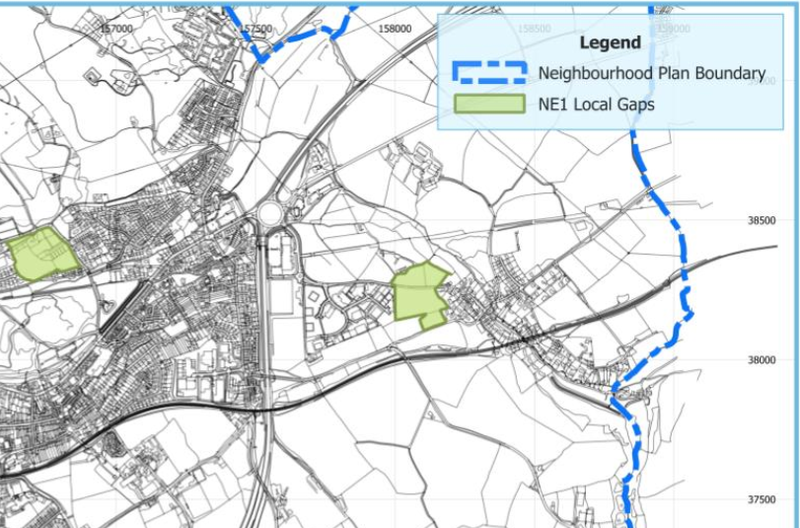 The built - up area represents the preferred location for new, small - scale development sites, whilst recognising that sites for additional “strategic” housing development may need to be allocated contiguous to this boundary (where they have no adverse impact on Hayle’s heritage assets or designation as a World Heritage Site) by the local planning authority during the plan period. neighbourhood area helps meet our objectives. Phillack and Angarrack by previous planning policies. local gaps, which require additional protection by virtue of their quality as green infrastructure. of the quality of the landscape or setting. Our policy NE1 seeks to ensure this is taken fully into account. iii) Foundry and developments to the south and west.